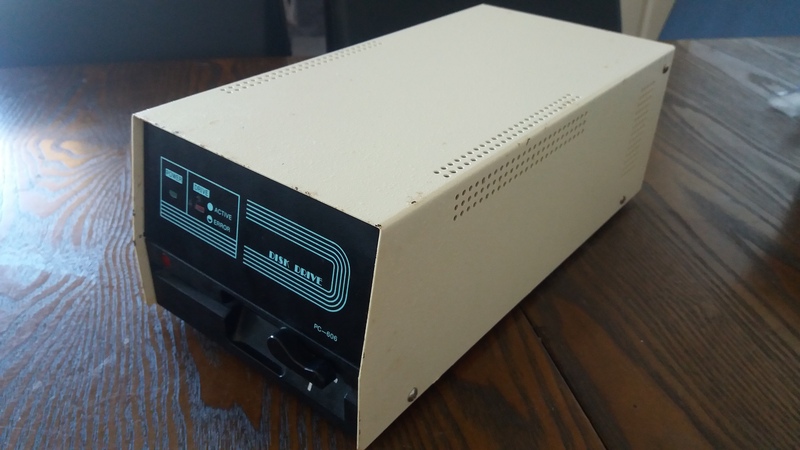 I noticed a strange 1541 clone for sale on TradeMe over Xmas which according to the seller started smoking when he powered it up to test. I put a bid on it and it went for a song. It duely arrived and I opened it up. 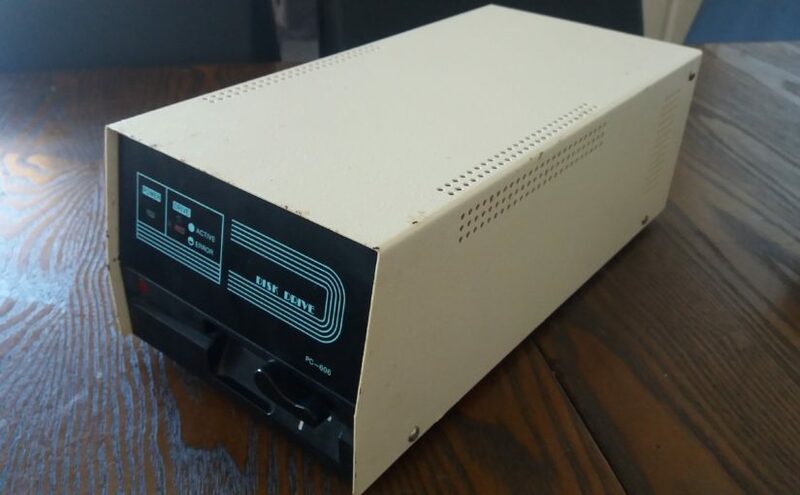 There are no identifying markings on this drive other than PC-606. Googling that just shows the Trademe auction. 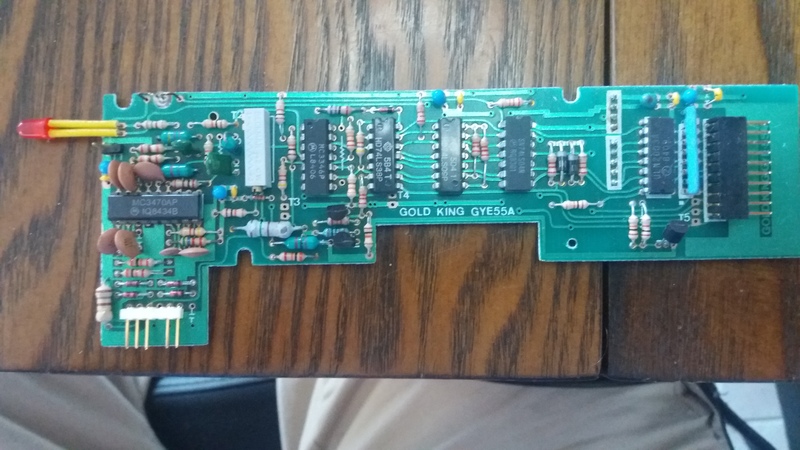 The floppy drive itself is a Gold King GYE55A also give no results when googled. 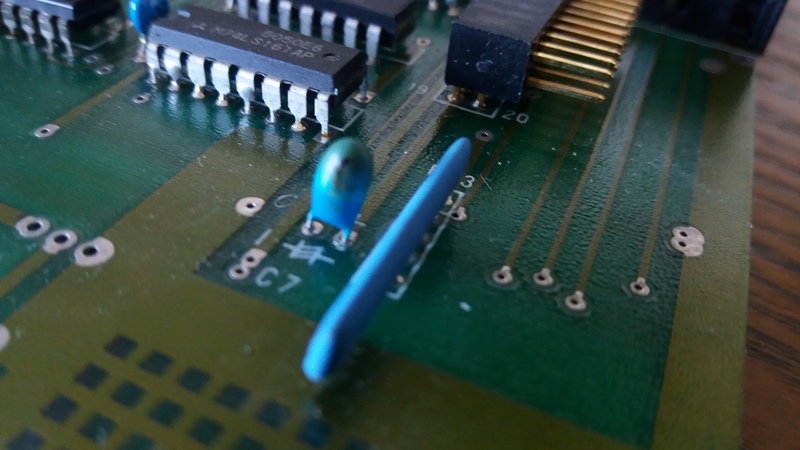 First thing I noticed was a discoloured tantalum cap on the main pcb. No surprise there as they tend to short and since the PSU is a linear type it feeds more amps into the circuit until something fries. Toasty C7 presumably a 10uf 25v – Note the floating TTL chip and “we don’t have any 4 way resistor packs so a 8 will do” bodge. 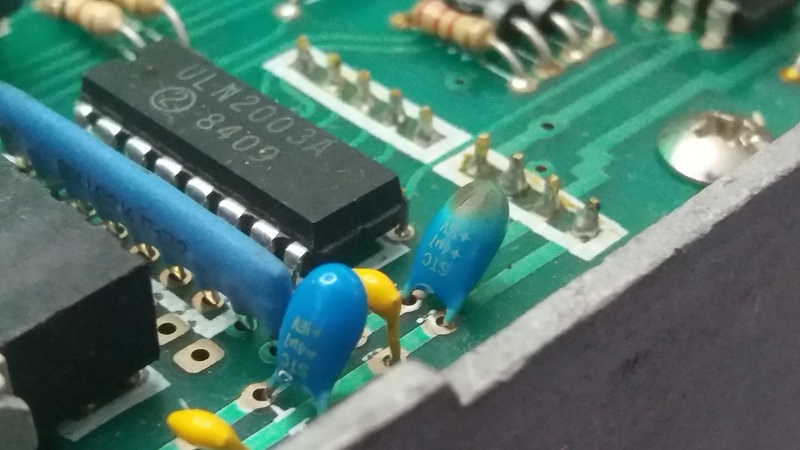 Googling typical original 1541 faults showed that a 10uf in the 12v line usually shorts. I checked with a digital meter on continuity test and it indeed was shorted. 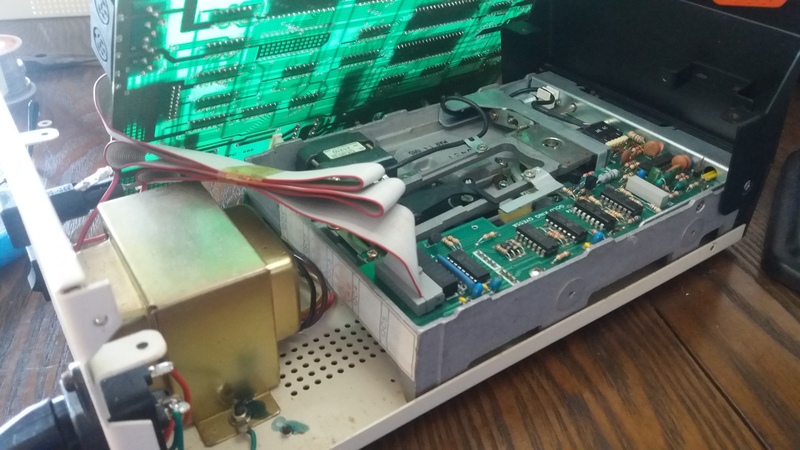 After replacing it with a electrolytic and powering up the drive with the floppy cable disconnected got the board booting, with the drive light coming on red for a few seconds as expected. I connected the floppy drive to the main pcb and powered it up, expecting the repair to be done. Low and behold more magic smoke appeared. 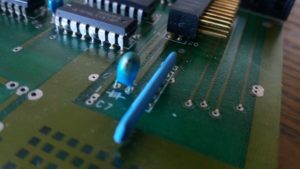 This time it was a tantalum cap on the floppy drive itself. I removed the melting cap and checked the 12 volt rail which still showed as shorted. Checked the rest of the tantalum caps on the pcb with the meter and found another 4.7uf cap was shorted. Removing that cap resulted in no more shorts. There were no shorts on the 5v rail fortunately. Replaced both caps with electrolytics I had to hand, and after re-assembling, the drive power up without loosing any magic smoke. Strangely the power LED stopped working. 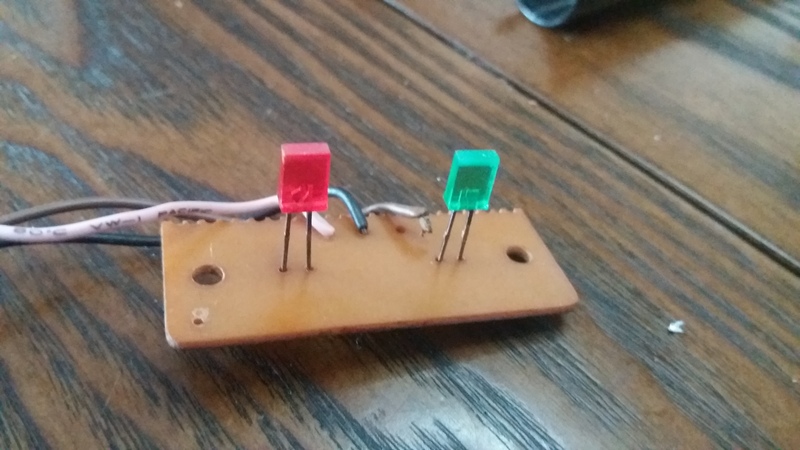 After checking that the LED was getting power I noticed the green wire wasn’t even soldered properly as it wasn’t stripped properly. Must have only just been connected since it was made in 1985. 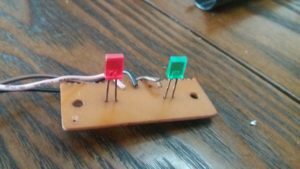 Resoldered the wire and the power LED worked fine. 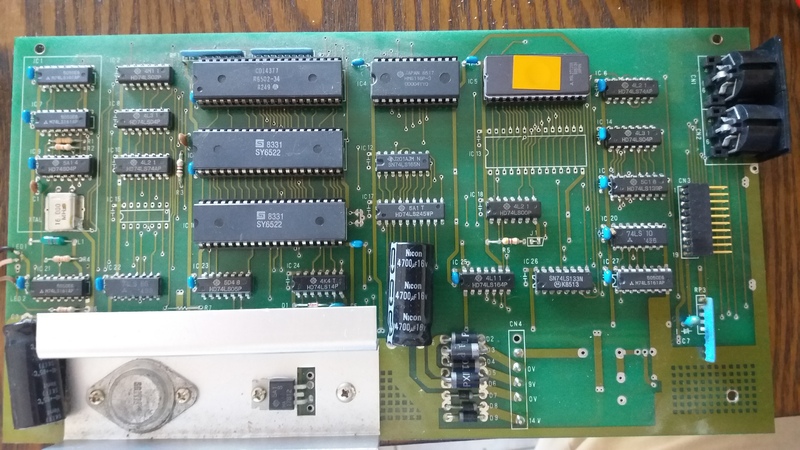 Put it all back together and connected it to my C64. 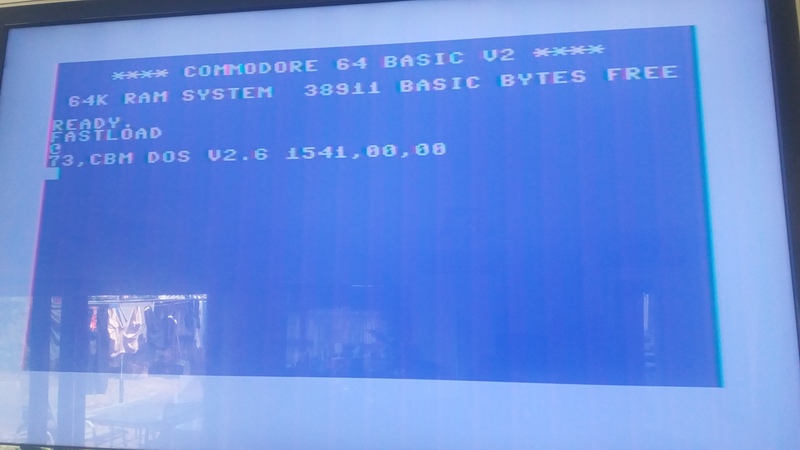 Tried a couple of disks and its all working fine now. 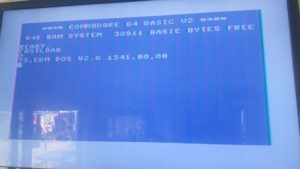 It even comes up with the normal 1541 version on boot. I’ll dump the eprom to see if its different from a real CBM drive. 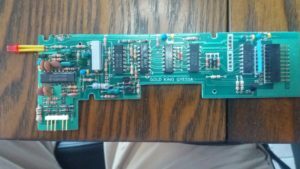 [Edit] I dumped the eprom. Its 1541-325301-01 joined with 1541-901229-05. 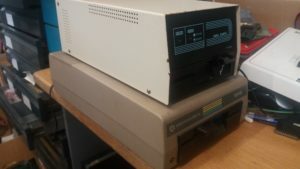 Next Next post: Atari System 2 .. Super Sprint to Paperboy conversion..